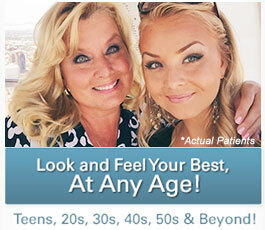 With RADIESSE®, your hands no longer have to give away your true age or make you appear older than you are. RADIESSE® is a specially formulated dermal filler that can be used to effectively restore a more youthful appearance to aging hands. As we grow older, the hands can lose volume and firmness due to fat depletion, skin thinning, and tissues losing elasticity. This sometimes-premature progression can cause bones, tendons, joints, and veins in the hands to become more prominent, which can give the hands an aged or frail appearance. RADIESSE® is FDA-approved specifically to correct volume loss in the hands by filling hollowed areas, smoothing the skin’s surface, and stimulating tissue rejuvenation. The youthful, natural-looking results achieved with RADIESSE® can be maintained over time with repeated treatments. Patients may choose to undergo a comprehensive hand rejuvenation plan customized by Dr. Christine Petti, which combines skin treatments, such as SmartSkin CO2™ laser skin rejuvenation, with RADIESSE® injections to achieve optimal improvement in the hands’ appearance. RADIESSE® is a thick-formula stimulating dermal filler, which means that when it is injected into the hands, volume is added immediately, and the active ingredient stimulates collagen production over time. The skin’s natural wound-healing response is to create new collagen and elastin, which are the building blocks of more youthful looking skin and tissue. Using the molecular structure provided by RADIESSE®, the body interlaces new collagen and elastin fibers, reinforcing and enhancing the volumizing and skin firming effects of treatment. RADIESSE® is known for remaining soft within the skin and taking on the characteristics of surrounding tissues. The results achieved with RADIESSE® can last one to two years or more, depending on how the body responds to the product. To begin the RADIESSE® hand rejuvenation procedure, Dr. Petti applies a topical anesthetic to the hands to ease any potential discomfort during the injection process. RADIESSE® is then strategically injected into areas of the hand to augment the skin until it effectively covers the underlying anatomical structures of the hand for a more youthfully volumized appearance. 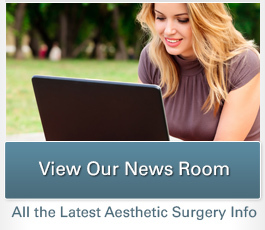 When performing hand augmentation with RADIESSE®, Dr. Petti uses specialized injection and manipulation techniques to achieve smooth, natural looking results. Some swelling may occur after treatment, but this should subside within one to two weeks. The majority of individuals are typically able to return to normal daily activities immediately. If you are interested in learning more about RADIESSE® hand rejuvenation, please contact our practice today. Our friendly team can answer any questions that you may have or help you schedule an appointment to see Dr. Petti.